Blogging provides the opportunity to publish good content and the potential to make money. Because of this, there are thousands of new blogs launched every day. Unfortunately, there are some major challenges that many new bloggers face, and in each circumstances the challenges are significant enough to lead the blogger to give up. In this post we’ll see some problems that many new bloggers face, especially at starting phase of their blog, and we’ll also look at some ways that these problems can be minimized. It can be very irritating to commit time for creating a blog post, just to sit and wait for remarks that never come. The interactive part of blogging is to attract many people to get started with their own blog, but actually many new blogs have trouble drawing in remarks. If you find that your blog posts don’t usually get the attention or feedback that you had hoped for, you’re not the only one. Here we see some tips to get the comments on your blog. 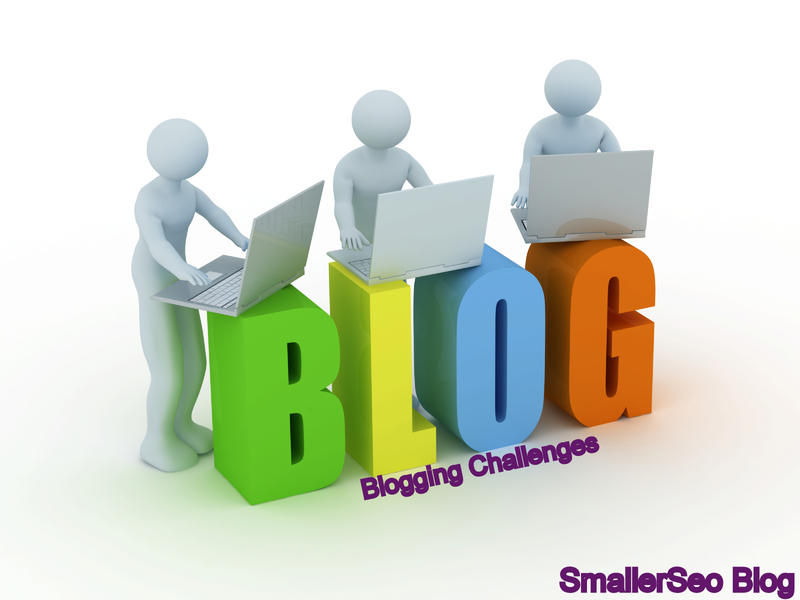 Perhaps the most disappointing challenge for many bloggers is attempting to attract more visitors. In fact, most bloggers don’t give very much thought to how they will attract visitors until after the blog has been launched. This can be a discouraging issue to face, and it’s one that leads many bloggers to give up and quit blogging. This is a point that is far too involved to cover in depth in this blog post, but here are a few proven methods for getting visitors and bringing life to a struggling blog. Every blog ought to have a clear purpose. If you’re maintaining a personal blog your focus is probably just to communicate with friends and family, so you can basically post whatever you need. But if you are blogging for business purposes you ought to have a thought or an idea of what you need to get out of blogging. Many people start blogs because other people are doing it and they feel that it is important, but they don’t always know specifically why. If your blog does not have a clear purpose it will be hard to retain the interest of your visitors. They may like one post that they stumble across, but the other content may not be of any interest to them, so they’ll quit returning. Here are some suggestions for making sure that your blog has a clear purpose. Would you like to blog simply to share your thoughts and opinions? Would you like to utilize the blog to promote your services? Would you like to sell products? Would you like to build your reputation and position yourself as an specialist? Would you like to make money from affiliate products or ad clicks? Another important point that can have a major effect on helping you to achieve your objectives is your blog theme design. If your objective is to promote affiliate products or to get ad clicks, you’ll most likely need to utilize a simple theme that allows visitors to notice the ads. If you like to utilize the blog to sell products, obviously you will like to promote those products in locations on the theme that will get attention from your visitors. While getting traffic is certainly a concern for many bloggers, repeat traffic truly is what is most important to a blog’s long-term success. In order for a blog to accomplish and keep up a high level of success, it must be able to build a community. The communities of users are people who come to the blog on a consistent basis, hopefully they leave comments at least occasionally, and they’re also more like to share a link or vote in favor of the content on social networking sites. If your blog is struggling to keep visitors coming back for more, here are a few suggestions. If you found This Blogging Tips are beneficial for you in any manners or have any suggestion regarding this topic please let me know by your remark. I knew there are many tips to follow but any important tips which you know then Please give me chance to add them. Please Submit via Comment. Thanks for share the information about blogging basics. Jovi International is the leading SEO Company Jaipur, provides the best SEO Services at affordable prices in jaipur and all over india. Call us at +91-141-4016661. This is great.. Nice to read your post. I would like to inform that Yelkotech offers the best service of Digital Marketing. It is one of the best ORM Company in Mumbai. Thanks for sharing this post with us. I found lot of valuable information in this blog and list for commenting is really rocking. I have to go for beautiful comment on that type of blog. Thanks for sharing valuable information. Maharashtra board intermediate exam admit card 2016 download – www.mahahsscboard.maharashtra.gov.in, Maharashtra (MSBSHSE) board conducting the exams for the intermediate (12th) in the month of February. Maharashtra board inter admit card 2016 download will be released soon by the Maharashtra board of secondary education. Latest SEO submission Site IN 2016. Bezpłatny serwis ogłoszeń drobnych Radom Lokalne. Zasięgiem obejmuje Radom i cały powiat Radomski. Zapraszamy do zamieszania ogłoszeń w serwisie ogłoszeniowym Radom Lokalne - Bezpłatne ogłoszenia Radom. Really a great post. blog is the key to reach visitors heart, thanks for sharing this information with us. IIDM- Institute of Integrated Digital Marketing is the leading Digital Marketing coaching in central India. Good post, thank for sharing this information with us. NetPreneur is the best digital marketing institute provide complete digital marketing in nagpur. Awesome post , very informative!!! Softspace Solutions provides World class digital marketing training and services in Nagpur.